The Techstars Foundation vision is to stimulate innovation and positive social and economic global change through empowering underrepresented communities and entrepreneurs. The world of startups and entrepreneurship is largely lacking in diversity, yet from our decades of experience, we know that diversity improves outcomes and increases innovation. It's why we've created the Techstars Foundation. Our mission is to develop and support underrepresented entrepreneurs by providing non-profit organizations with grants and access to the Techstars Network. Be a part of this powerful movement today. #GiveFirst is a core value for all of us at Techstars - a way for us to continually improve the world around us. We are dedicated to fostering an inclusive entrepreneurship ecosystem accessible to all aspiring entrepreneurs regardless of their gender, race, ethnicity, age, gender identity, LGBTQ or ability. Help make the world of entrepreneurship as colorful as the transformative ideas that they bring. All donations go to non-profit organizations we support. Thank you for giving. These distinguished leaders and experts help us move the needle. Jeremy Shure is a Managing Director at Silicon Valley Bank in their Early Stage practice, and is based in New York City. Jeremy has been an active mentor to a significant number of the Techstars programs across the United States, and believes deeply in the mantra of #givefirst. Jeremy has a diverse background in startups, venture capital, and law, and has written on such topics for various publications, including Inc. and The Huffington Post. Prior to joining SVB, Jeremy's experience includes co-founding the Emerging Companies practice group of a national law firm, and directing the innovation practice of the world's largest privately held media agency. Jeremy sits on the Advisory Board of the Techstars Foundation, is a member of the National Board of Directors of Active Minds, is President of the Class of 2000 at the University of Pennsylvania, is an active volunteer with Defy Ventures, and is past President of The Friends of the Israel Defense Forces, Young Leadership division. Jeremy can be found on Twitter at @jeremyshure and on LinkedIn here. Lu M. Córdova, is the President of the Techstars Foundation, a global nonprofit fostering diversity and inclusion in entrepreneurship. Since 2005, Córdova has also been the CEO of Corlund Industries, L.L.C., a diversified holding company which specializes in operations management, strategic planning, business development and capital finance. Corlund Industries also manages the Almacen Storage Group, which provides self-storage and small business warehousing in resort areas in Mexico. Córdova holds both US and Mexican citizenship, and as a five-time CEO/President, she brings thirty years of experience in navigating companies through start-up phase to maturity and international scope. Córdova is also an advisor to the State of Wyoming, serving on their investment committee selection panel. Currently she is on the Board of Directors for the Kansas City Southern Railroad (KCS), which is the largest cross-border US-Mexican railroad, along with the Panama Canal Railroad. She is a member of Audit and Nominating/Governance committees and chairs the Finance Committee. She served with Euronet Worldwide (EEFT), an international payments company, on audit, governance, and compensation committees. Ms. Córdova recently retired from the 10th District Federal Reserve Bank where she was Chairman of the Board of Directors. She began on the bank's Economic Advisory Council in 2002 before joining the Board in 2004. Her board strengths are in technology, cybersecurity, finance, international operations and succession planning. Córdova retired in 2005 as president of CTEK Venture Centers, which won international recognition and awards as one of the most distinguished business catalysts in the country. Sister organization CTEK Angels, which Córdova founded and chaired, became the largest group of individual investors in the Rocky Mountain States. She recently was brought back to the CTEK Board of Directors to oversee its transition grant to the Techstars Foundation. Córdova's prior work was developing several companies, including Acteva (TixToGo), @Home Network, MMS International, The Center for Economic & Monetary Affairs (CEMA), and Accent Design. Córdova consulted with TixToGo as their Chief Development Officer before becoming CEO, renaming the company Acteva, and growing the e-commerce service for event planners at over 100% per quarter, from concept to revenue production and second-round financing before the company's sale. As part of the @Home Network original team (later Excite@Home), Córdova co-founded their @Work Division which accounted for 45% of total sales their first year. Cordova then went on to create @Home's Online Services before becoming the principle architect of their business portal, Work.com, with strategic funding she raised from Excite, Dow Jones and AT&T. Córdova spent ten years in the financial markets where she primarily worked in joint ventures, using emerging data networking technologies to discover and develop new products and new distribution methods. She was SVP at MMS International, a start-up she helped to grow in the real-time fixed income analysis area, which was sold to McGraw-Hill. She then became Vice President of Corporate Development with McGraw-Hill's Standard & Poor's Corporation. She spearheaded Standard & Poor's drive to deliver financial market analysis on the Internet and authored one of McGraw-Hill's first studies on Worldwide Internet Security. Previously, Ms. Córdova held the positions of Chief Executive Officer for the Institute for Economic & Monetary Affairs and Executive Editor of the Journal of Economic & Monetary Affairs, now called Geonomics. She has also worked at the Federal Reserve Board of Governors office while attending the University of California, Berkeley, conducting empirical research on foreign exchange rate expectations, and for the California State Attorney General. Córdova was appointed and served for three terms on the Business Research Advisory Council of the U.S. Bureau of Labor Statistics. She has been a judge for Ernst & Young's Entrepreneur of the Year, the Boulder County Business Report's IQ Awards, and for the Colorado Software and Internet Association's Apex Awards. Córdova has served on the Board of Directors for the National Association of Business Economists (NABE) where she chaired their Roundtable Committee, co-founded both Corporate Planning and Technology Roundtables, and was a member of their Economics Education Committee. Córdova also served on the Board of the Silicon Valley Roundtable where she was awarded "Silicon Valley Guru" status. She founded GenXangels in California and CTEK Angels in Colorado. Córdova attended the University of California at Berkeley and received BS degrees in Political Science and Economics. While at Berkeley, she was advanced to doctoral candidacy in the Ph.D. program in economics (all but dissertation), was awarded Rockefeller and AEA scholarships, became President of Students for the Arts, was elected as a lifetime Fellow of the Order of the Golden Bear, and served as Chairman of the Graduate Economics Association, which she re-engineered into a profit center. Córdova has led several workshops and is a frequent speaker on business management, marketing communications, emerging technology, private equity investing, and entrepreneurial ventures. She has been an expert witness on matters of business development, entrepreneurship and capital finance. Mary Grove is a Partner at Rise of the Rest Seed Fund where she is focused on investments as well as managing the engagement platform to support the Rise of the Rest portfolio. She is based in Minneapolis, Minnesota. Prior to joining Revolution, Mary spent 14 years at Google in Silicon Valley, NYC, and Zurich. She was the founding Director of Google for Entrepreneurs and led the company's global efforts to support entrepreneurs and communities in over 100 countries. She also led New Business Development partnerships and worked on the company's IPO deal team. Mary is the co-founder of Silicon North Stars, a nonprofit whose mission is to inspire young Minnesotans from economically underserved communities toward futures in tech. Mary has served on the Boards of the Techstars Foundation, Astia, UP Global, and the Stanford Alumni Association. She earned her BA and MA from Stanford University. Rod Robinson is the founder and CEO of ConnXus, Inc., a supplier diversity software platform that enables Fortune 2000 companies to manage supplier diversity compliance tracking and reporting requirements. Since starting the company in 2010, Rod has led the company through successfully raising $10 million in venture capital, 102% compound annual revenue growth, a database of 1.7 million diverse suppliers and a growing list of global customers including American Express, McDonald's, Caesars Entertainment, Coca-Cola and Cummins. Rod holds a bachelor's degree in accounting from the West Virginia University Institute of Technology and an MBA from the Wharton School at the University of Pennsylvania, where he was a Dun & Bradstreet fellowship recipient. Rod was recognized by Ernst & Young as an Entrepreneur of the Year finalist in 2012. Jenny Lawton joined Techsters as COO in September 2016. Jenny is responsible for the day-to-day management of the company including sales, marketing, business development, engineering and operations. The events of September 11, 2001, were the impetus that inspired Lawton to leave the corporate world for a hiatus to become the owner of the independent bookstores Just Books and Just Books, Too, as well as Arcadia Coffee in Old Greenwich, Connecticut. After ten years running successful retail ventures, Lawton re-entered the business and technology scene, serving as COO for Rockin' Water and RAM Scientific, and senior vice president of operations for Mercury Solar Systems. In 2014, Jenny was appointed to the Connecticut Women's Hall of Fame. Lucy has an extensive industry background, having worked in R&D and executive (VP) positions at AT&T Bell Labs, Lucent Bell Labs, and Avaya Labs for over 20 years, where she specialized in systems-level software and solutions (multi-media communication, and customer relationship management). Lucy is a recipient, along with NCWIT Co-founders Robert Schnabel and Telle Whitney, of the Computing Research Association's 2012 A. Nico Habermann Award. She has been inducted into the Women in Technology International (WITI) Hall of Fame and is a recipient of the 2013 U.S. News STEM Leadership Hall of Fame Award. Lucy received her BS and MS in computer science from Louisiana State University and the University of Colorado Boulder, respectively. David Brown is a co-founder and co-CEO of Techstars. David later co-founded Techstars along with David Cohen, Brad Feld, and Jared Polis. He has been an investor and advisor to Techstars since inception. In 2013, he joined Techstars in a more active role as Managing Partner and now co-CEO. David Cohen is the Founder and co-CEO of Techstars. David has been an entrepreneur and investor for his entire life. He has only had one job interview in his career, successfully got that job but then quit shortly thereafter to start his first company. Since then, he has founded several companies and has invested in hundreds of startups such as Uber, Twilio, SendGrid, FullContact, and Sphero. In total, these investments have gone on to create more than $80B in value. Prior to Techstars, David was a co-founder of Pinpoint Technologies which was acquired by ZOLL Medical Corporation (NASDAQ: ZOLL) in 1999. You can read about it in No Vision, All Drive. Later, David was the founder and CEO of earFeeder, a music service that was sold to SonicSwap. He also had what he likes to think of as a "graceful failure" in between. David is the co-author (with Brad Feld) of Do More Faster; Techstars Lessons to Accelerate Your Startup. David also enjoys reading non-fiction books and playing tennis. He is married to the coolest girl he's ever met and has three amazing kids who always seem to be teaching him something new. Nicole has entrepreneurship in her blood. As a second generation American, with both her father and grandfather starting companies, she learned at a young age that being an entrepreneur means being in charge of your own destiny. She got her entrepreneurial start in the 4th grade, orchestrating cousins into theatrical plays and charging neighbors admission. Since 2002, she's been mentoring and funding early-stage web software companies. Most recently, Nicole is Chief Product Officer at Techstars, a global ecosystem for entrepreneurs based out of Boulder, Colorado. She's been with Techstars since its early days in 2009, has run 8 programs and has close to 90 companies in her portfolio. She's on the Board of Directors for SimpleEnergy, Owlet, and the Entrepreneur's Foundation of Colorado. She was named one of the "Coolest People in New York Tech" and an Extraordinary Woman in New York Tech by Business Insider, Marie Claire named her one of the "NewGuard", and Entrepreneur Magazine named her One of the Most 7 Powerful Women to Watch. You can see her at various speaking engagements like SXSW. Nicole graduated with her Master's Degree in Sport Psychology from the University of Florida and has learned that the same principles of sport apply to startups. She is married to the love of her life and has 2 young children under 5 who keep her honest, humble, and acutely aware of how short and precious life is. Through our four-year fellowship program, we train adults with the most need and potential to get their first tech jobs, advance in their careers, and become the next generation of leaders in tech. Global EIR Coalition expands economic opportunities through partnering international entrepreneurs, universities, and cities to promote job creation, grow local economies, and build their businesses throughout the United States. A co-working hub, entrepreneurship outreach organization and startup incubator and accelerator in Gaza, run by the global organization Mercy Corps. An intensive 3-day educational event designed to mentor military members, Veterans and their spouses to start technology-focused businesses. Help us empower underrepresented entrepreneurs.  Techstars Foundation is a donor-advised fund managed by the Community Foundation Boulder County. All contributions are tax-deductible to the extent allowed by law and. For more information on how to give and types of gifts accepted (cash, check, stock, planned gifts, among others) please visit the Techstars Foundation giving page, or to volunteer time, products and services, email us at foundation@techstars.com.